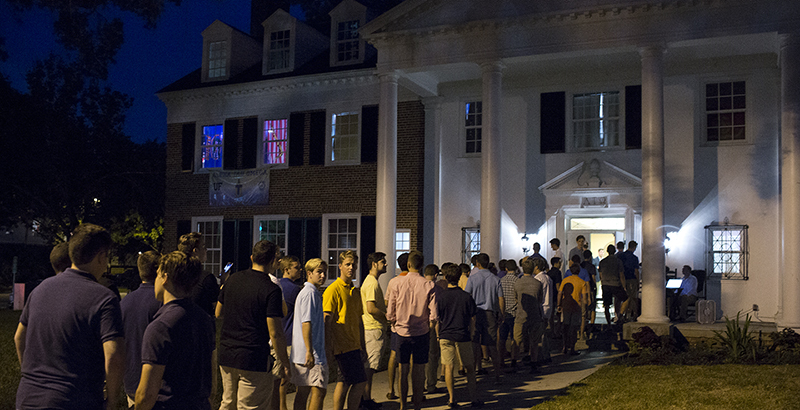 Joining a college fraternity may benefit men long after the partying ends, Bloomberg reports. A recent study, titled Social Animal House, examined “the economic and academic consequences of fraternity membership at a small Northeastern college” for more than 1,660 alumni. 1. Joining a frat lowers grade point average. Fraternity members’ GPAs are about 0.25 points lower than non-members’ — but drinking is to blame for only about 10 percent of the difference, the researchers said. Rather, fraternity brothers spend more time socializing than studying when compared with their non-Greek peers, and fraternities may have a negative culture around academics. 2. Joining a frat significantly boosts lifetime earnings. Despite those lower grades, the study found that fraternity membership increases future income by 36 percent. The benefit rises to 46.8 percent when college grades are held constant. 3. Sorority sisters don’t experience the same effects. The study found “little significant effect” of sorority membership on grades or income for women at this school. The college did not admit women until 1970, so the sample of female students was smaller. The study is based on a 2009 survey of graduates ages 25 to 65 who were employed full time. The researchers controlled for race, age, SAT scores, and physical appearance during college to argue that fraternity membership was responsible for the income gap. All the data were self-reported through an alumni questionnaire. There is “no reason to believe” that the effects of fraternity membership at the unnamed school surveyed would be “qualitatively different” at other institutions, the report said.